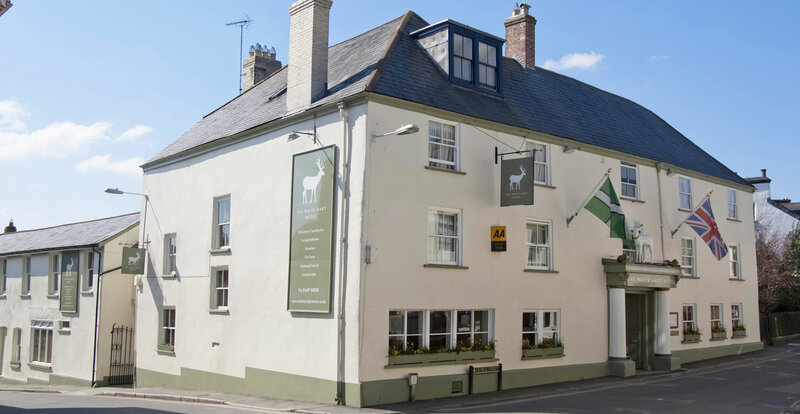 The White Hart Hotel is a family–owned hotel and very much at the heart of the local community here in the moorland town of Moretonhampstead. We get involved in local events wherever we can whether through hosting, sponsorship or actually taking part! Moretonhampstead is a thriving community and we are involved in several current projects and the hotel always plays a central role in the town’s hugely popular August carnival. We are committed to buying locally wherever we can – from sourcing local meats, fish and vegetables to employing local craftspeople and supporting the many skilled artists in the local community. The Hotel is a Grade II listed hotel dating back to 1639 and we take great pride in owning it and being its current custodians and sympathetically refurbishing it to provide all modern comforts within a traditional setting.